A new line of defense, which is used by cancer cells to evade cell death is been discovered by Cancer Research UK scientists. This research was published in “Nature Communication”. Dr Nicola Brownlow is the lead researcher of this research study, and is also a Cancer Research UK scientist at the Cancer Research UK London Research Institute. Critical pathway of molecule signals that provide lifeline to cancer cells is identified by the researchers of this study. This pathway helps in enabling the cancer cells to survive even with the presence of many DNA errors that usually result in cell death. Cancer cells use the Protein Kinase C epsilon (in short PKCƐ signal pathway), which is very rarely used by the normal cells. It could be important to target some cancers cells as these cells rely on this pathway for survival. The pathway helps the cancer cells to untangle and separate their DNA, which in turn helps the cancer cells to survive even after DNA errors. This signal pathway is more often used by cancer cells than normal cells as the DNA of these cancer cells is more jumbled and prone to becoming tangled. 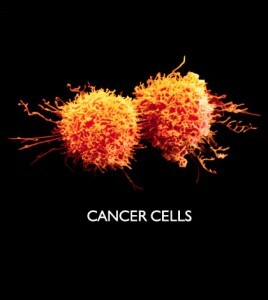 Cancer cells can be triggered be self-destruct by turning off this signal pathway because the machinery that helps the cancer cell untangle the DNA fails. This mean, as the cancer cells tries to divide, it is torn apart, ravaging and causing huge breaks in the code that leads to demise of cancer cells. Dr Nicola Brownlow said that turning off this line of provided by PKCƐ signal pathway could turn out to be powerful way of targeting cancer cells, and make them self-destruct. Dr. Nicola also said that next step in their research is to identify the cancer types that possess this weakness of depending on PKCƐ signal pathway for survival and also to look for a market that allows them to test cancer patients having this fault. Nell Barrie, Senior science information manager of Cancer Research UK said that with this research an important weakness of cancer is uncovered, which could help in tackling cancer. This method provides a fresh opportunity for better cancer treatment. Nell Barrie also added that there is still much to be done before this research leads to a new cancer treatment. But, with this research a new strategy to beat cancer is evolved as it helps in understanding the causes of cancer and also what drives cancer.